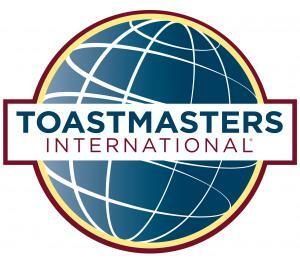 After hearing from our keynote speaker, Amin Mali, members and guests will enjoy a regular Toastmasters meeting that will include Table Topics™ (impromptu speeches) and evaluations. Aspiring Royal Toastmasters Open House! Please wait on the 12th floor to be escorted to our meeting room. Thank you! Time: 12:00 p.m. – 01:00 p.m.
Toastmasters International is a worldwide nonprofit educational organization that empowers individuals to become more effective communicators and leaders. Headquartered in Rancho Santa Margarita, Calif., the organization's membership exceeds 345,000 in more than 15,900 clubs in 142 countries. Since 1924, Toastmasters International has helped people from diverse backgrounds become more confident speakers, communicators and leaders. For information about local Toastmasters clubs, please visit www.toastmasters.org. Follow @Toastmasters on Twitter.